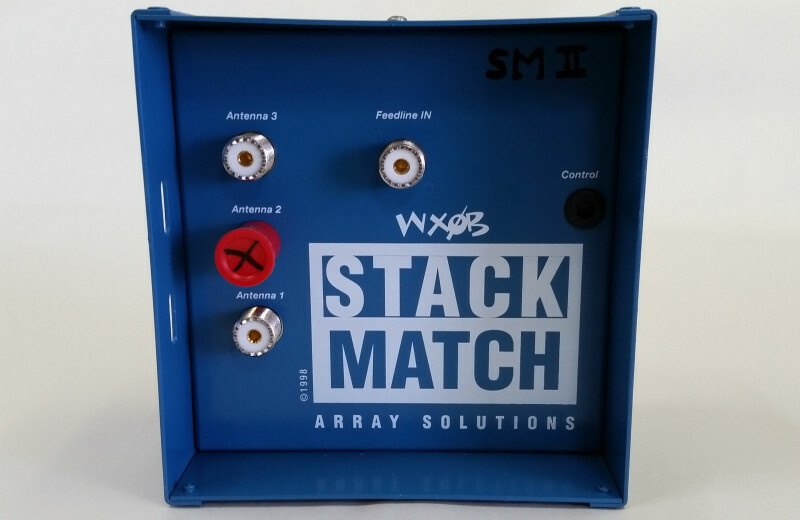 Stack of two Antennas Combining System. 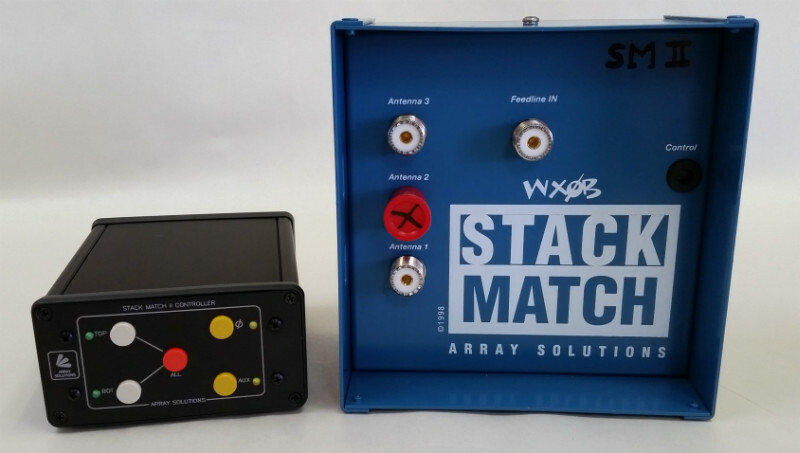 Allows any of the three combinations for upper/lower/both antennas, vertically shaping the radiation lobes and changing the radiation take-off angle to optimize the signals depending on the varying ionospheric propagation angles. 7 to 30 MHz. 3 kW. SO-239 connectors. Requires a controller fed with 12 V DC 1A.